Rhea Cosmetics is not your conventional skincare brand - their philosophy is that each skin is unique. They have successfully created products that will meet your skin needs. This includes thousands of different combinations of products and ingredients to provide an end result for the consumer. All products created by Rhea Cosmetics are made in Italy and developed in partnership with two Italian universities; University of Ferrera and University of Bologna. The products are also dermatologically tested, 100% vegan, and Halal Certified. 14 retail products and not a single cream. Rhea Body consists of multi-functional cleansers, bi-phasic treatments, night masks, localized serums, and SOS targeted areas. The four main requests made by consumers for the body is slimming, firming, draining and relaxing, therefore, the products within this line focus on those four aspects. See below for our new fun and extremely effective products. The ShowerClay is a cleanser based on surfactants that don’t stress the skin during the shower, but cleanses for skin affinity without removing the hydrolidic film. This cleansing clay restores, re-mineralizes the skin, and has an antioxidant action. It is also suitable for face and hair. This ExfoGel is an exfoliating gel with a keratolytic and renewing actions without removal or rinsing. The jojoba pearls found in the formula merge on the skin during application to perform a deep nourishing action. These biphasic treatments are a two-phase liquid with a treating action, which creates a chemical enhancement of the emulsion, using the momentary mixing. The 2Tone bi-phase acts on skin densification processes to restore tissue structure. The 2Drain bi-phase stimulated the drainage of liquids performing its action on the lymphatic circulation. 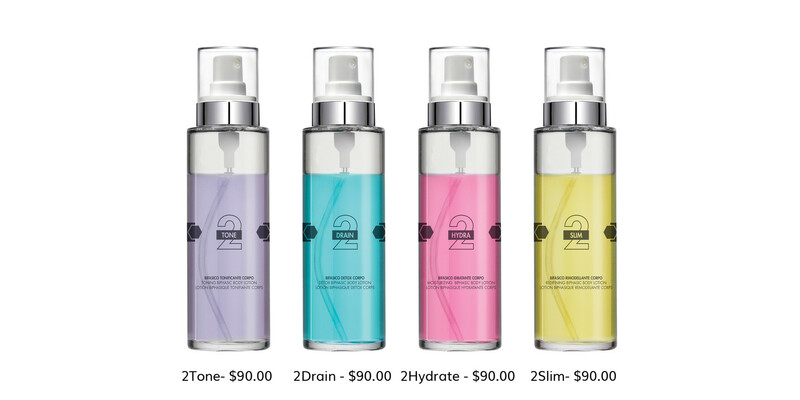 The 2Hydra bi-phase acts on hydration mechanisms to restore a correct level of water in the tissues. Finally, the 2Slim bi-phase limits the storing of fat and stimulated the lipolysis processes, significantly reducing the skin’s “orange peel” look. 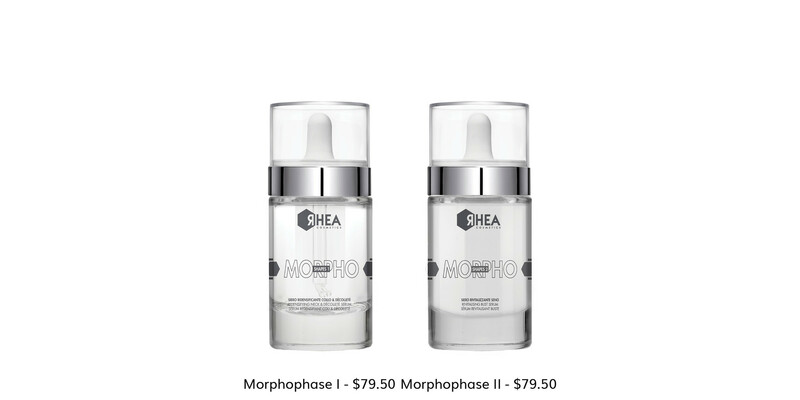 Morphoshapes I is a neck & décolleté serum with a localized action to dispense in drops. The double carrier technology eases the penetration of the product, stimulates firming and resurgence of the tissues of the neck area. Morphoshapes II is a revitalizing bust serum that contains hydrating and lifting ingredients to plump and better contour the bust area as well as protect against anti-aging. 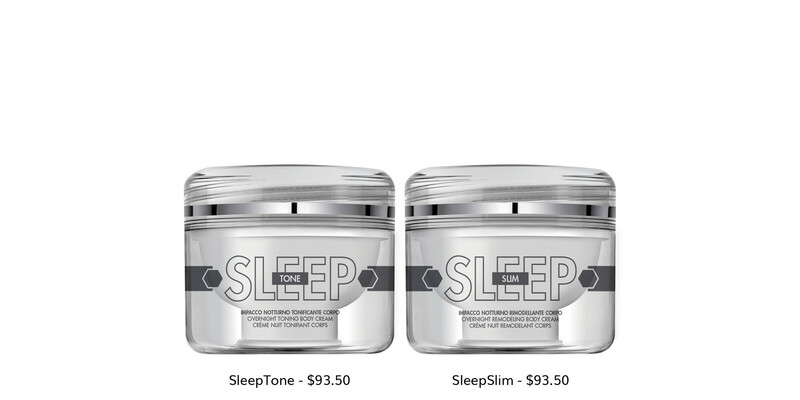 The SleepSlim and SleepTone are chrono-active night packs with prolonged skin absorption and in order words, overnight masks. The SleepSlim mask stimulates the lypolitic process, reducing fat deposits and the SleepTone mask intervenes on tissue firming processes, to re-densify the sustaining fibres. The SOS Skin is a face and body repairing balm. It stimulates tissue regeneration, counteracts inflammatory processes, which is the base of erythemas and rashes. It also decongests the treated area through inflammatory inhibition mechanisms. The SOS Hands is a rejuvenating hand balm. This hand balm has an anti-aging, anti-spot and anti-dryness action. Skin aging processes are reduced and melanogenesis is inhibited to maintain a young look on the skin. The SOS Feet is a comfort foot balm. This foot balm is for the wellbeing of the feet and heels. A rich formula based on plant extracts, which nourishes, smooths and refreshes the feet's skin, for an immediate comfort and wellbeing sensation. Check out Rhea's entire line here!